OUR MISSION: Our primary task is to lead the congregation in worshiping God through song, celebrating the name of Jesus Christ our Savior and Mediator. Our secondary task is to edify each other with psalms, hymns and spiritual songs through the words of Christ. OUR VISION: Our vision for the future is that, through the leadership of the choir, the choir and congregation would sing united praise to God with their minds and hearts in order to give glory to God and also that they would be filled with the Spirit, acknowledging Christ in everything they sing. OUR MUSIC: Music was created by God to be used for His glory. We use music to support singing together to God and to each other in a variety of song types and styles. The words that we sing should reflect God’s character, revelation and purposes. The psalmist, David tells us: “It is good to praise the Lord and make music to your name, oh most high, to proclaim your love in the morning and your faithfulness at night.” (Psalm 92) It is our heart’s desire to fulfill the “Great Commission” by sharing the gospel through music. We are not as concerned with the exact note being sung as the message the words give us to bring praise and worship to our God and King. There is an opportunity for everyone from 3 years of age through senior adulthood to participate. Come join us – as we blend our voices together to “make a joyful noise unto the Lord”! Participates in leading the weekly 10:30 a.m. Morning Service as well as other seasonal and special worship events. Its music varies, but is always selected specifically for its contribution to worship. Everyone from youth age and up is welcome to join. The Choir rehearses each Wednesday at 6:30pm and Sunday at 10:10am. If you are interested in joining our Worship Choir, please read through our Handbook below, fill out and return the “Survey of Interest” to the church office! Instrumental players join together to form a vibrant part of our praise and worship. The Band includes high school students through adult. Participation in the Band can be arranged with the Pastor of Worship. We rehearse each Wednesday, 8:00pm-9:00pm and Sundays 8:15am-8:45am. For ages 4 through 6th grade. These choirs provide a fantastic way to introduce children to basic rhythm skills, along with the basic principles of Biblical praise and worship. Weekly practices prepare these groups to offer up praises in song. Choirs regularly participate in worship services and present musicals (Winter and Spring). Don’t let your child miss out on this great opportunity. They meet each Sunday from 6:30-7:30pm during the months of September through the end of May. 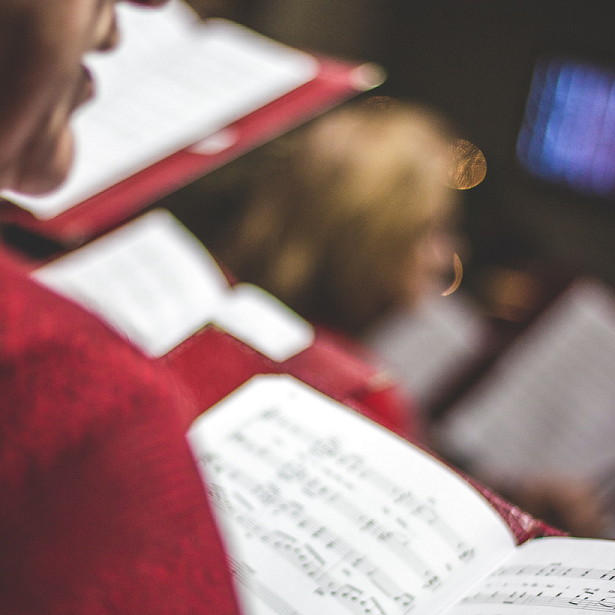 Ages 50 and up – along with singing in worship services throughout the year, two special performances are held in the Winter and in the Spring. The choir also ministers around the community in nursing homes. If you are “Just Older Youth” and love to sing, then come participate in the J.O.Y. choir. They meet each Tuesday morning, 11:00am-12:00pm from September through the end of May.